The staff and governors at St Patrick’s are dedicated to supporting children with SEND needs. 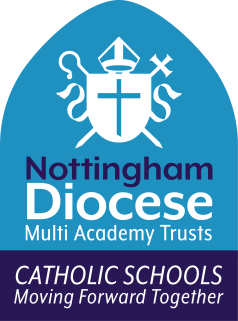 Having an additional needs will not stop your child making progress at St Patrick’s. God made every one of us unique, with many talents and we each have things we find difficult. We aim to provide all children with a broad and balanced education and support where necessary to ensure every has access to a high quality education. Our policy outlines all the aims and beliefs we hold as a school about providing a quality education for our children with SEND. This report outlines everything you need to know as a parents about how to access support, what kinds of support we offer and all things SEND related at Saint Patrick’s. It also outlines Nottingham’s Local offer in relation to SEND provision. These reports give an overview of the specific support and actions for each year. The School SENDCo will report yearly to the governors and parents to ensure that quality provision is provided for all children with SEND. When it comes to SEND the local offer is repeatedly referred to, but what is it? This video gives a brief overview. More information can be found on the ask lion website listed above. The Government have published a document with advice and guidance for parents with children with SEND. Rainbows Parent Carer Forum Website gives lots of useful advice to parents and also gives lots of valuable opportunities to network with other parents. The Nottingham Local Offer website outlines lots of useful information about the way Nottingham supports children with SEND. It also has up-to-date information about events and activities for children with SEND to access. The British Dyslexia Association gives advice and support for those who struggles with issues that may be related to Dyslexia. Dyslexia is a complicated array of symptoms that goes far beyond struggling with spelling and this website gives lots of information about the condition.